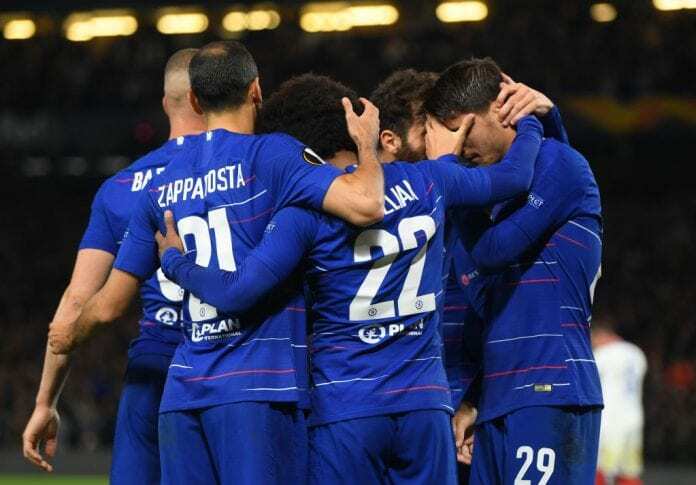 Spanish striker Alvaro Morata finally broke his mini-drought for Chelsea after scoring the winner in the Europa League match against Vidi FC. For Spanish striker Alvaro Morata, the first months of the season for Chelsea have been extremely difficult, the striker hasn’t been able to find his best form since he left Real Madrid for the second time in his career. The first time he left Los Blancos to play for Juventus, Morata proved that he is a very competent striker and became one of the club’s most important players between 2014 and 2016. His best performance was in the Coppa Italia final where he scored the match-winning goal in the 2015-2016 edition against AC Milan, that same Morata was determined to be successful at Real Madrid and went back to play under Zinedine Zidane during the summer of 2016. But things didn’t work out for the Spanish striker because the French manager trusted other forwards more than him, Alvaro wasn’t able to withstand the pressure as he wanted to get more minutes, so he eventually gave up and decided to accept an offer from Chelsea where he has been ever since. But his time with the Blues hasn’t been good at all, he has really struggled to find his top form and the ruthless English fans have bullied him without any mercy. Cut to this Thursday as Maurizio Sarri gave him a start on the Europa League against Vidi FC, Morata needed a good performance in order to finally shut all those trolls down but things didn’t start well for him. From the very start of the match, it was evident that Morata’s confidence was on the floor as he had a very clear chance to score in front of the keeper and somehow sent his shot wide by just a few inches. This miss triggered social media trolls as they had no chill against poor Morata, they made memes and came up with all sorts of ways to mock the Spaniard. But he would have the last laugh, as he scored the match-winning goal twenty minutes before the end of the match and seemed to cry on Willian’s shoulder during his celebration. This goal is clearly very important for Morata who hadn’t scored since the middle of August when Chelsea defeated Arsenal 3-2, the player felt relief for this moment but he still has a lot of work to do if he wants to become even more important for Maurizio Sarri on this Chelsea side that has proved to be extremely competitive this season. “For us he’s a very important player. At the moment we have Alvaro and Giroud, but we have to play every three days for a long time, I think, I hope, and so he’s a very important player for us, for our season. Both, Alvaro and Olivier,” said the Italian manager about Morata’s performance after the Europa League victory against Vidi FC. What do you think about Alvaro Morata’s performance for Chelsea this Thursday? Please share your opinion in the comment section down below.